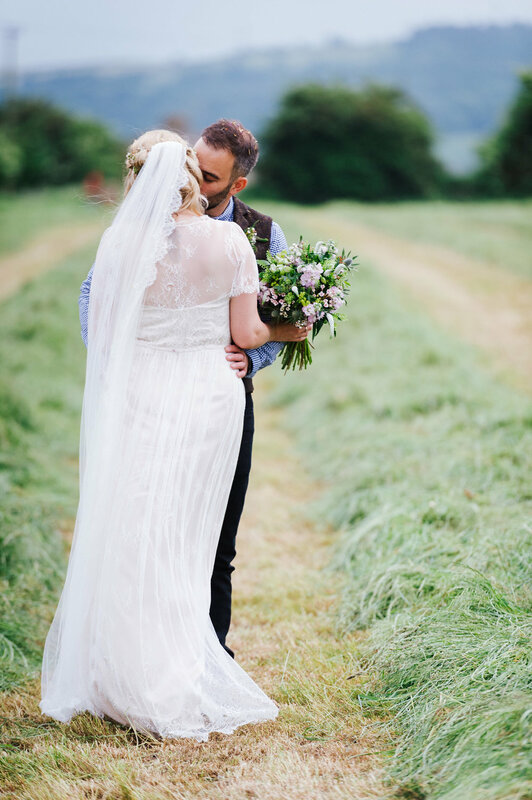 Sarah originally commissioned me to make Clematis for her, but changed her mind and opted for Hollyhock, which I think was the perfect choice for their laid-back barn wedding. 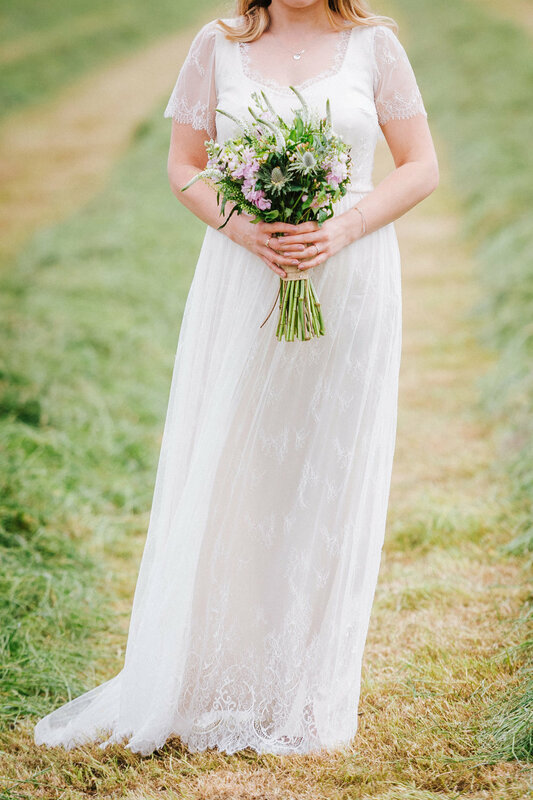 We kept Hollyhock just as it was designed, except for two changes: the sleeves, which we made slightly more flowy and to finish at the middle of her upper arms, and the back lining which was raised to cover a bra. 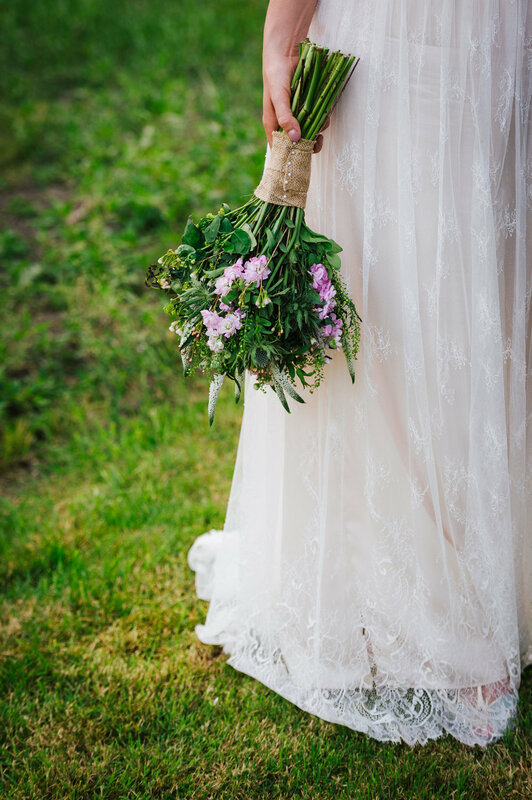 The pale pink silk lining worked beautifully with Sarah’s fair colouring. 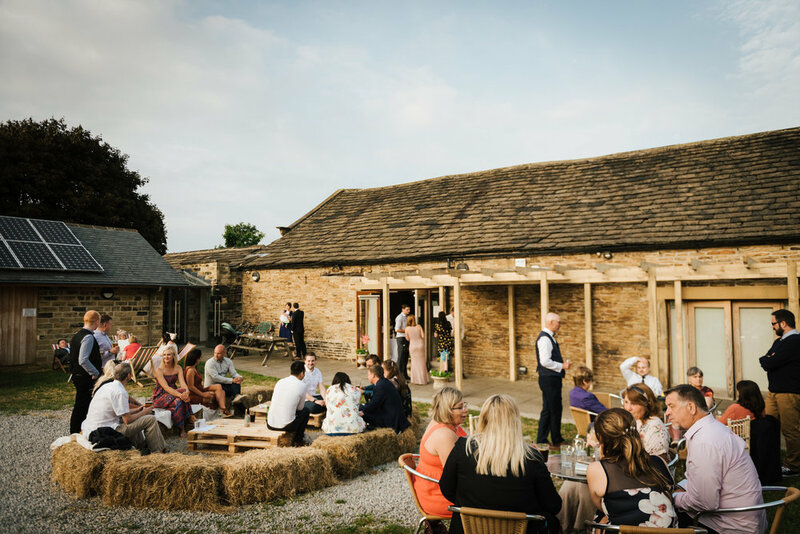 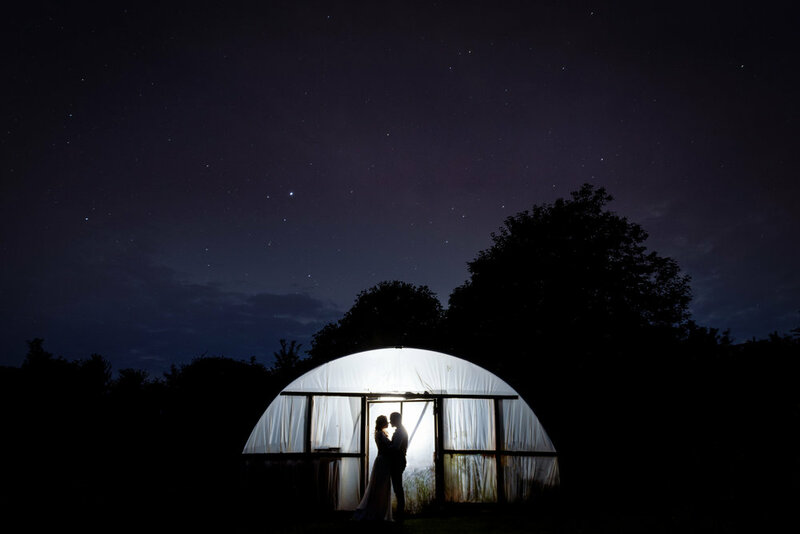 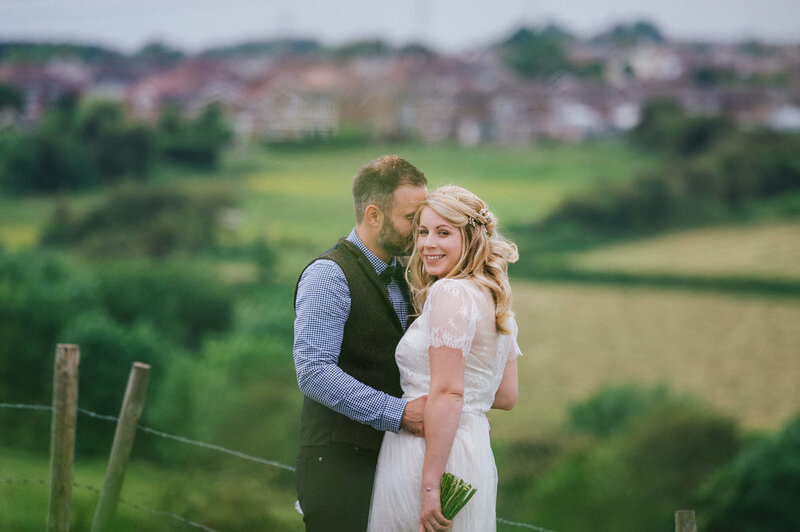 Sarah and Ben were married at Northorpe Barn in Mirfield. 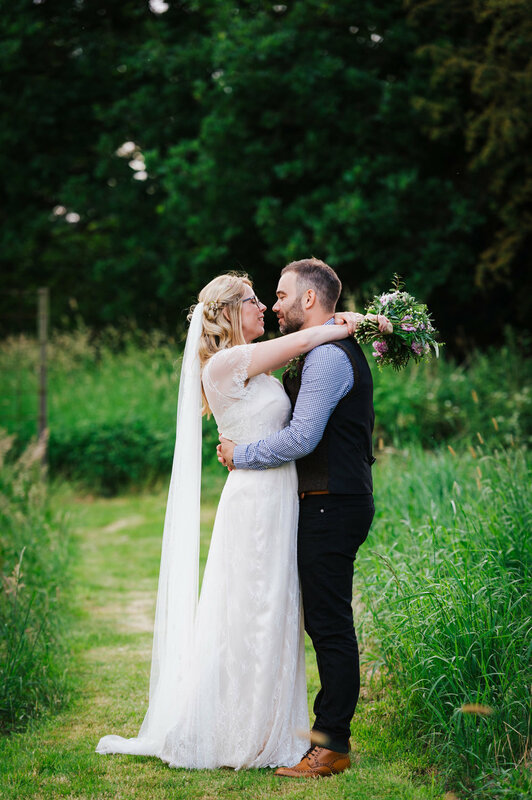 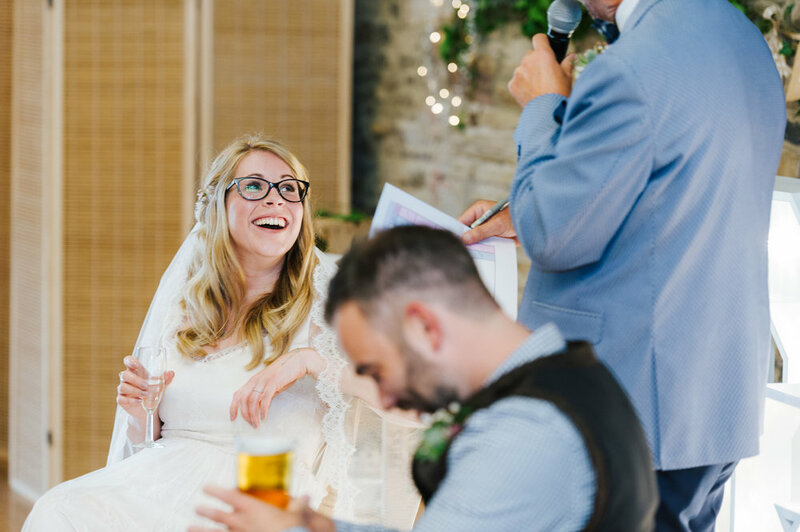 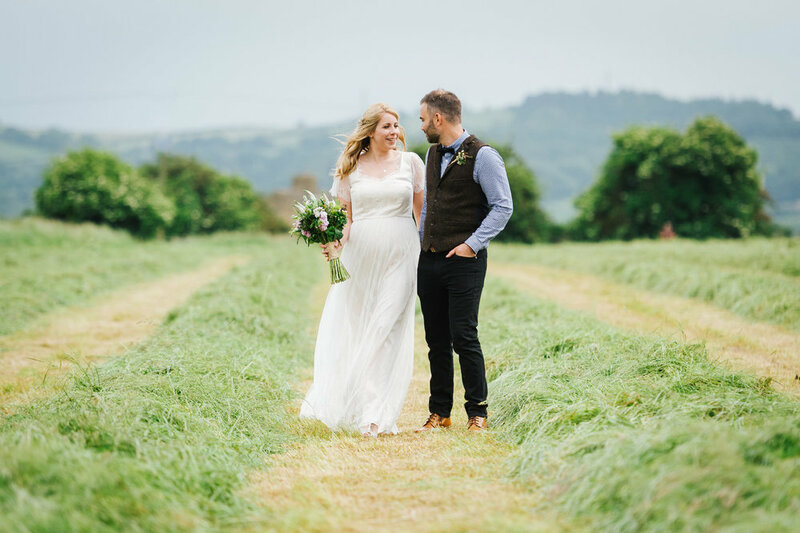 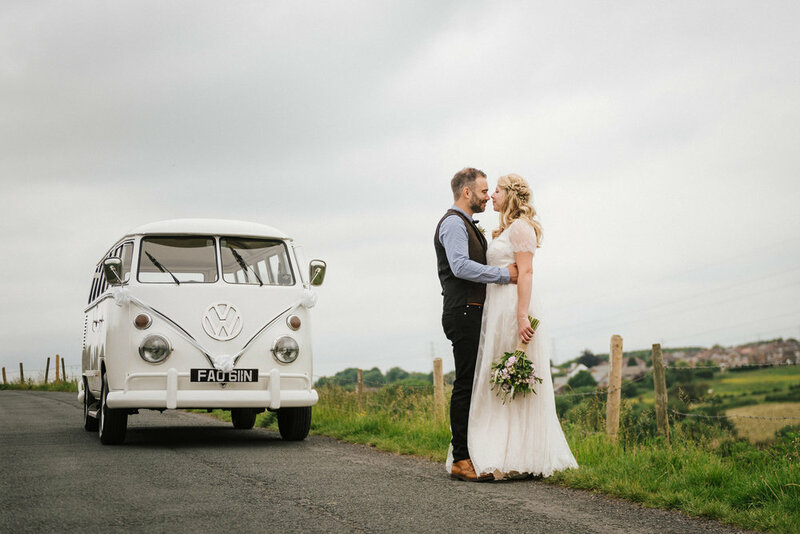 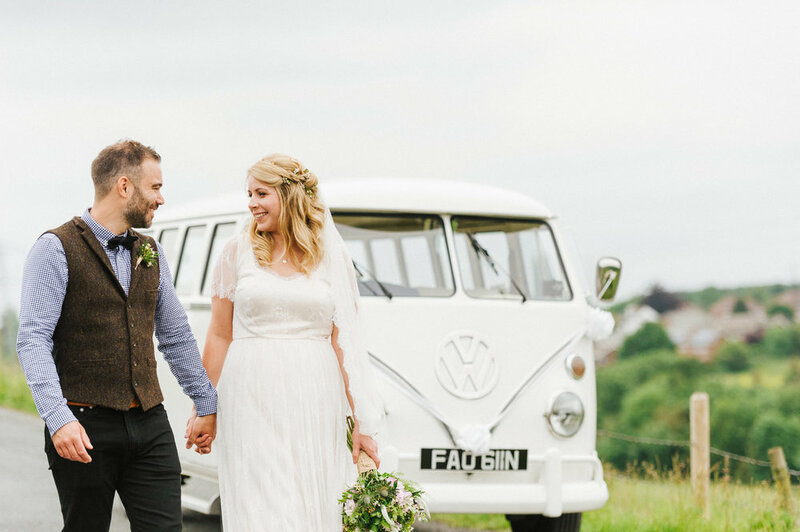 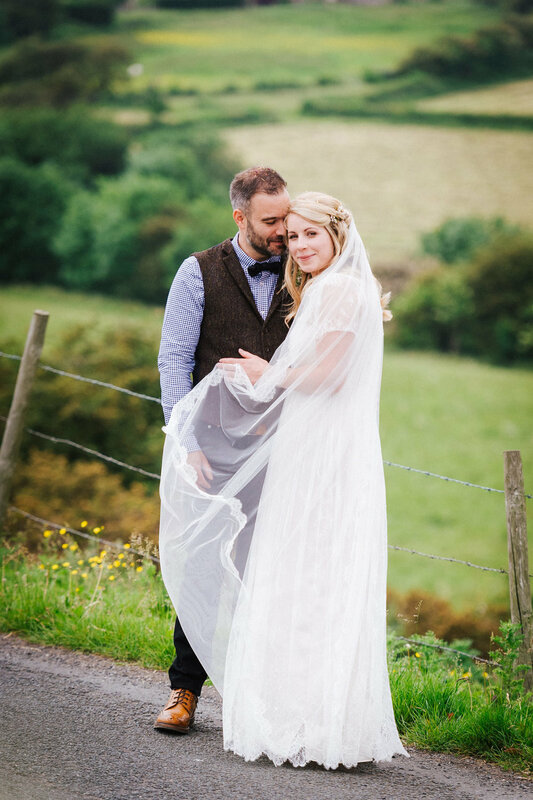 They made the most of the rustic setting with reams of bunting, plus oodles of props and decorations, many that Sarah and her family had collected or made. 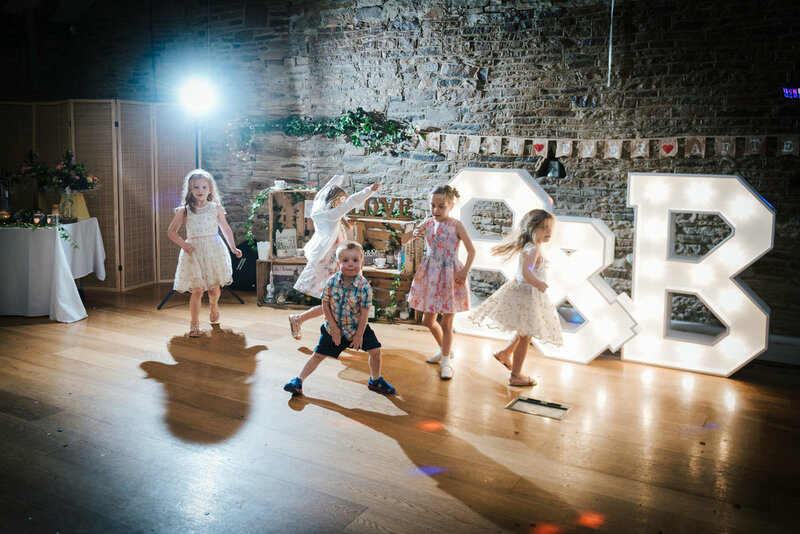 Their two girls – Amelie and Edie, who often came along to fittings – made the most gorgeous little bridesmaids, though both looked pretty exhausted by all the fun by the end of the day!